This monograph was prepared under the Multi-Annual Programme 2015-2019 “The Polish and the EU agricultures 2020+. Challenges, chances, threats, proposals”. The publication is a collection of selected papers delivered at the 23rd edition of the International Scientific Conference organized by the Institute of Agricultural and Food Economics - National Research Institute. 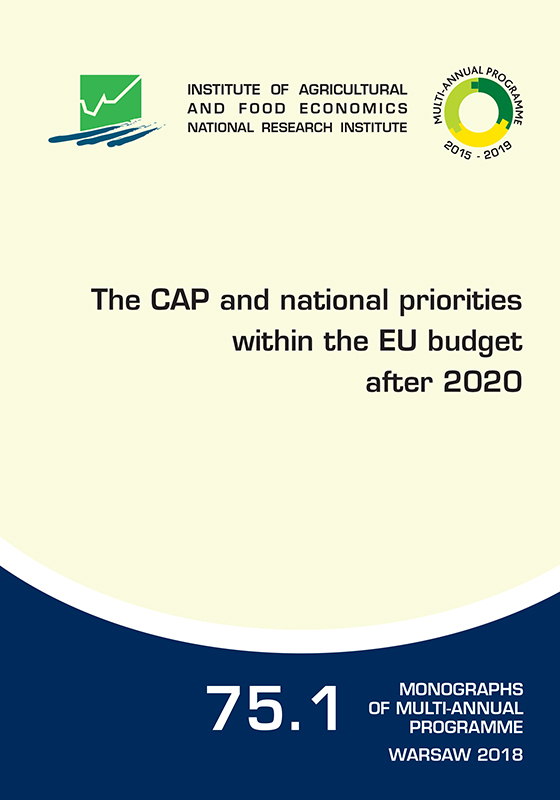 The theme of the conference was ”The CAP and national priorities within the EU budget after 2020”. The conference was placed on 11-13 June 2018 in Lidzbark Warmiński in Poland.